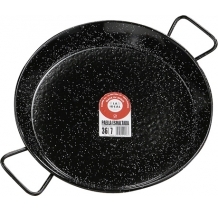 For Paella pans up to 28 - 55 cm. 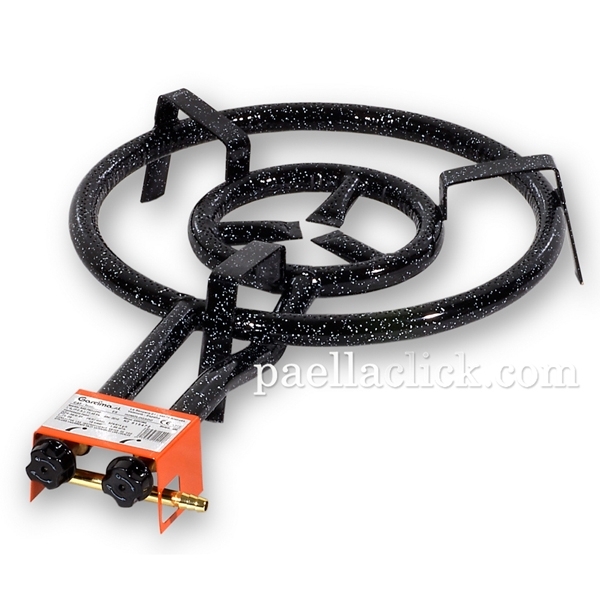 The model 400 paella gas burners are ready to allow you to cook paellas betweeen 2 to 19 servings. 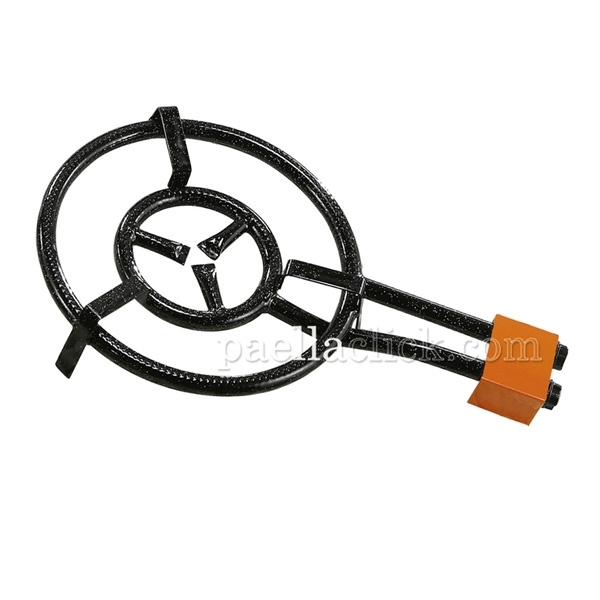 They are manufactured with top quality components, which makes them sturdy and endurable. 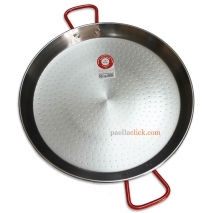 Its round rings allow a perfect distribution of fire, ensuring excellent cooking for your meals.They are covered up with a vitrified enamelled layer that allows for easy clean up. 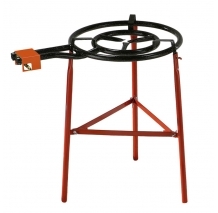 We suggest using the reinforced 3-legs set to be able to cook faster, more safely and more comfortably. Me llegó en menos de 24h, así que estupendo. 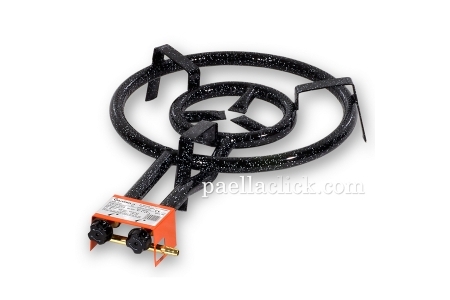 Es el quemador para paellas de "toda la vida": con dos círculos y dos mandos. El producto se ve robusto y de momento estoy bastante contento con el resultado. 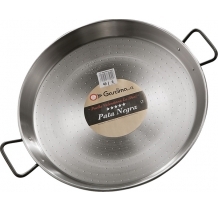 Yo lo gasto con una paella para 10 personas y el agua hierve rápido y sin problemas. "Tapas" servings: 16 Main course servings: 10 Suitable for: Gas, Open Fire and Oven. Nº servings: 16. Suitable for: Gas and Open fire. No servings: 10 Suitable for: Gas and Open fire.